That's actually a genre of rock. 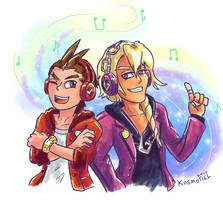 I don't know if Klavier would do it but hey, his colour scheme fits with it. Ja?